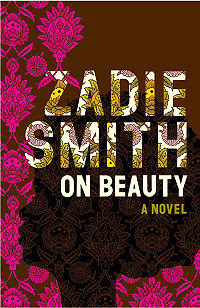 Retro Review: Zadie Smith's "On Beauty"
Home » books » retro review » Retro Review: Zadie Smith's "On Beauty"
I know, I know, the moment I forewarn people that I may be less active on here, is the moment I begin to feel motivated to read and write. I had never read any Zadie Smith, despite this novel having been sitting on my book shelf for quite some time. I didn't so much consciously choose to read it, as decide I wanted something a bit more substantial than the books I've been reading lately. At nearly 450 pages, this was certainly substantial. On Beauty follows the story of the Belsey family; aging academic Howard, straight talking Kiki, and their children Jerome, Zora, and Levi. Set primarily in New England (with the occasional sections in London), the novel traces a feud between Howard and rival academic Monty Kipps. The Kipps and the Belseys become entangled in a complicated mess of unrequited love, extra marital affairs, and uncertain friendships. And yet, the feud is not merely about relationships, it's also about conflicting politics and belief systems. What I enjoyed most about this book were the characters. Smith has a way of describing her characters' thoughts, feelings, and actions, that makes them seem truly whole in a way few authors really accomplish. Whether it's Jerome's mortifying embarrassment, or Kiki's barely masked pain, we see these characters at their most vulnerable. Smith also wittily points out the innate hypocrisies of both sides of the political spectrum. We have Howard, the liberal atheist character, who fights against the right of Monty Kipps to speak at Wellington University, on the grounds that what he says might be offensive. Conversely, Conservative Monty is (reluctantly) best friends with a homosexual, and enjoys an affair with a student, while simultaneously proclaiming the values of family. This aspect of the novel is one I enjoyed immensely, because I'm fascinated by my own hypocrisies. The writing is intelligent, descriptive and thoughtful. This is a funny, and at times, sad novel. Definitely a worthwhile read.